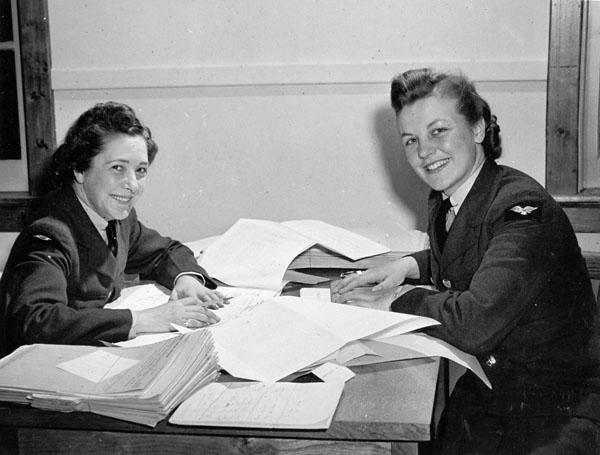 Unidentified timekeeping personnel of the RCAF Women’s Division, No. 2 Service Flying Training School. Uplands, Ontario, 1942.